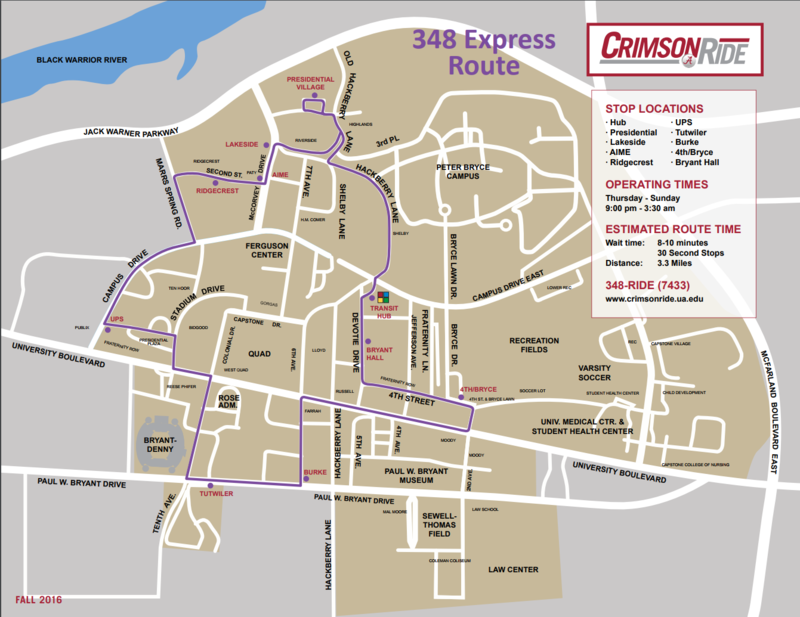 Four new evening/weekend bus routes allow routes to access campus facilities that are open late, and other areas of campus from 9 p.m. – 3 a.m. Monday through Friday, and 11 a.m. – 3 a.m. Saturday and Sunday. Riders should see a bus about every 10-12 minutes during the evening hours. If you do not see a bus or cannot track on TransLoc, please call 349-7433. Riders can also see buses in real time by clicking here or by using the Transloc app. 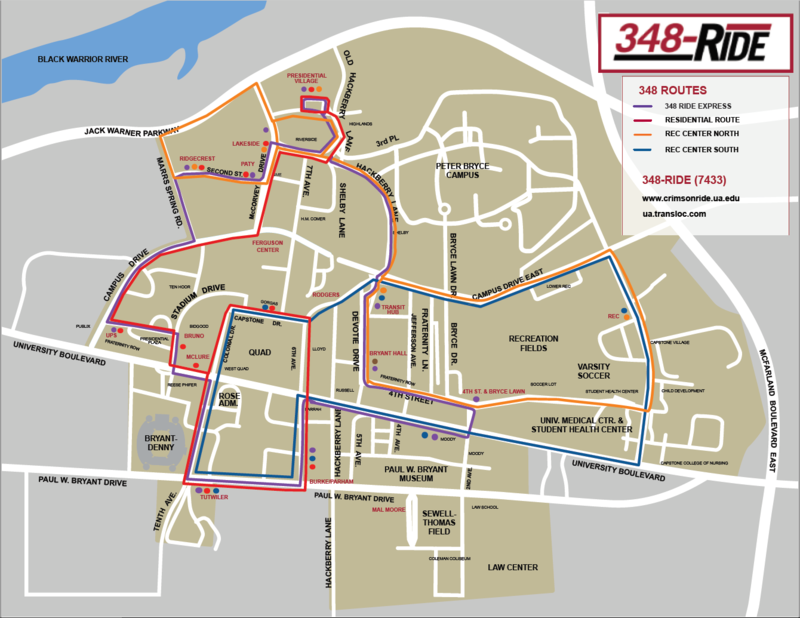 Click here to see a map of our new evening and weekend routes. While the new evening/weekend bus routes are in operation, 348-RIDE vans will be available to pick up riders from nearby residences and bring them to the Transit Hub. The service area includes neighborhoods between Queen City Avenue to the west, 15th Street to the south, McFarland Boulevard to the east, and Jack Warner to the north. Click here to see a map of our service area. 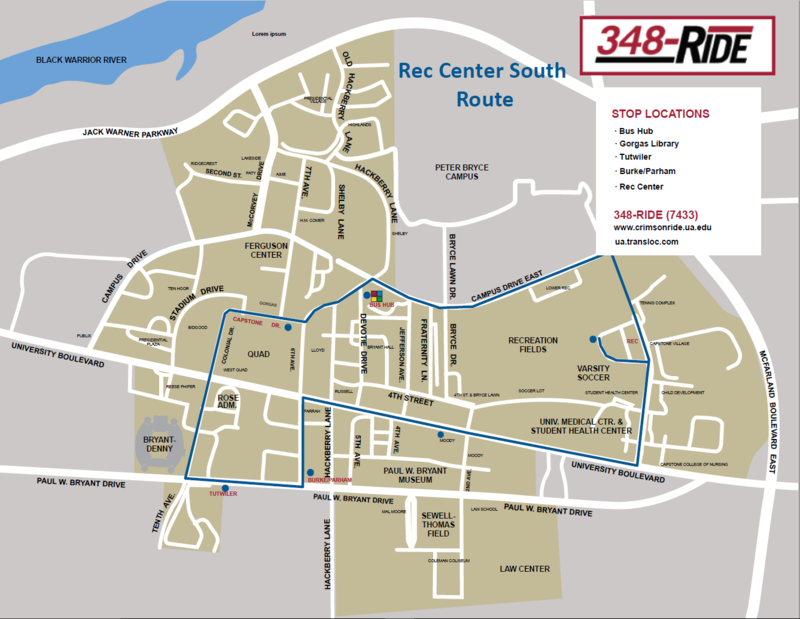 Off-campus riders can request a 348-RIDE pick up online by going to 348-RIDE using a laptop or internet-connected phone or by using the 348-RIDE app from 9 p.m. – 7 a.m. Monday through Friday, and 24 hours on Saturday and Sunday. 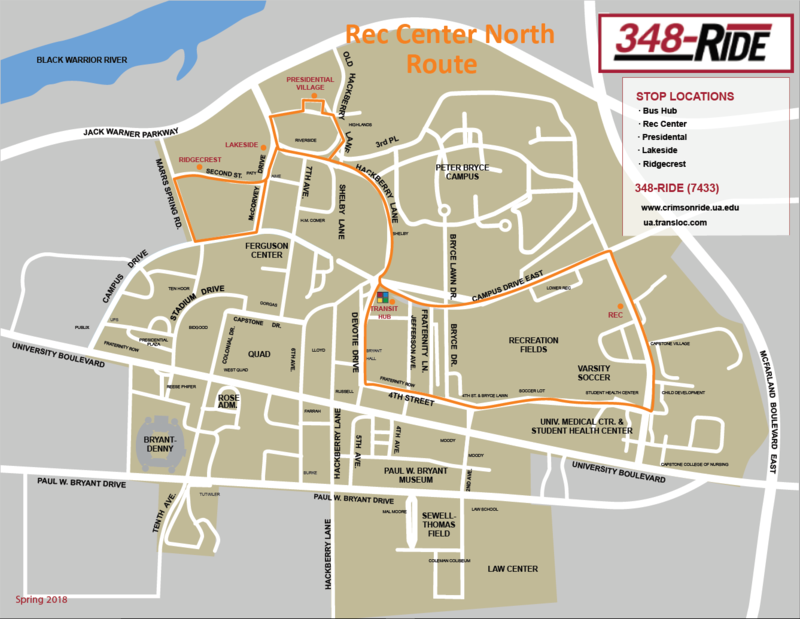 Riders who are on campus and want to be taken to a residence in the off-campus service area between 9 p.m. – 3 a.m. Monday through Friday, or 11 a.m. – 3 a.m. Saturday and Sunday, should take a bus to the Transit Hub, and then visit the walk-up 348-RIDE service window to request a van. 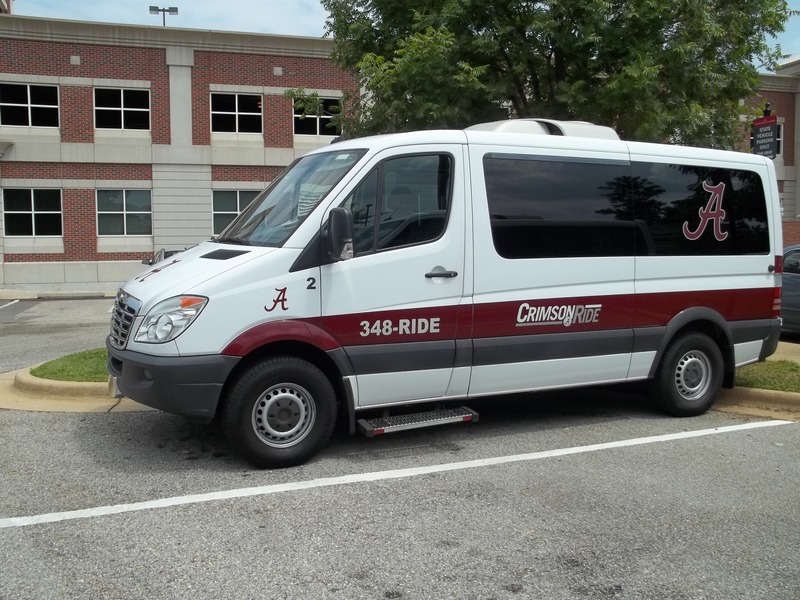 A van will be dispatched to take the rider to their off-campus residential destination. 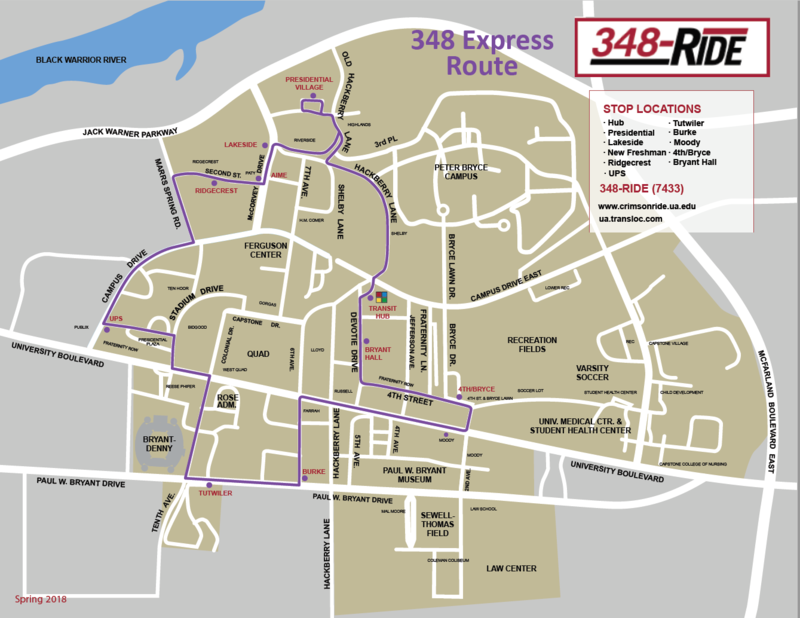 On-campus riders who need to get to other areas of campus not serviced by one of the evening/weekend bus routes should visit the walk-up 348-RIDE service window at the Transit Hub and request a van to take them to the on-campus location where they need to go. Off-campus needing a ride between 3 a.m. – 7 a.m. Monday through Friday or 3 a.m. – 11 a.m. Saturday and Sunday, your process does not change. On-campus needing a ride between 3 a.m. – 7 a.m. Monday through Friday or 3 a.m. – 11 a.m. Saturday and Sunday, your mode travel will be a limited fix route service displayed on TransLoc, servicing all campus residential areas. Locations not accessible by the fixed route during this time frame should visit the walk-up service window at the Transit Hub and request a Van to take you to the on-campus location.